The index opened positive above 8823 and stayed flat around 8800, but saw huge un-winding after RBI governor kept Repo Rate unchanged to the lows of the day at 8726.65 though closed a bit up at 8756.55, loss of 40.85 points. The broader market was negative, with 659 advances to 838 declines. Developing Range as per Option Table comes to 8500-9000. Call option 8800-9300 added huge 20.97 lacs OI with small short covering seen at 8600 and lower strike prices. Put option 8800-8100 added huge 13.03 lacs OI with short covering seen at 8900 strike price. 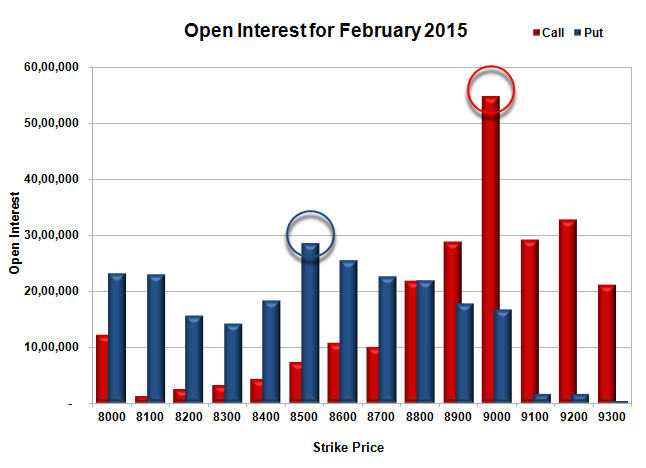 Nifty Open Interest is at 2,53,95,600 up by 4,26,800, with decrease in price, most probably huge short build-up. 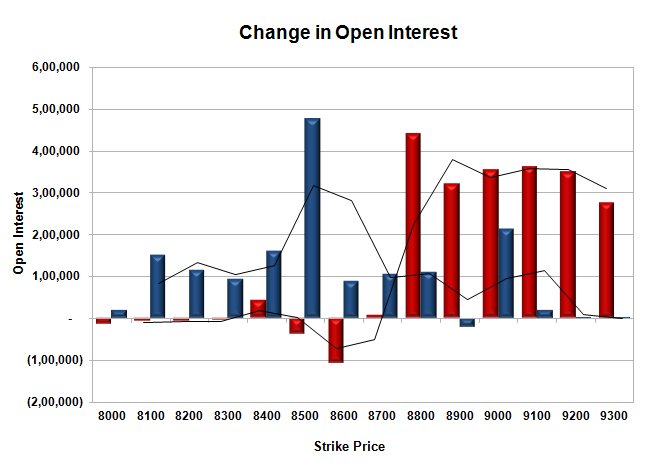 Bank Nifty Open Interest is at 25,05,175 up by 2,21,800, with decrease in price, most probably huge short build-up. FII’s sold 4.08 lacs Futures, which includes 10410 contracts long liquidation and 5927 contracts short build-up, with decrease in net OI by 4483 contracts (includes 48238 longs to 64575 shorts for the day) and the Average Price comes to 8991.82. FII’s Index future open contract as on date is 824176 Longs to 106464 Shorts, net long 717712 down by 16337 contracts. Initial support at 8700, with OI of 22.55 lacs and below that at 8600 with OI of 25.51 lacs. Initial resistance at 8900, with OI of 28.83 lacs and above that at 9000 with highest OI of 54.90 lacs. 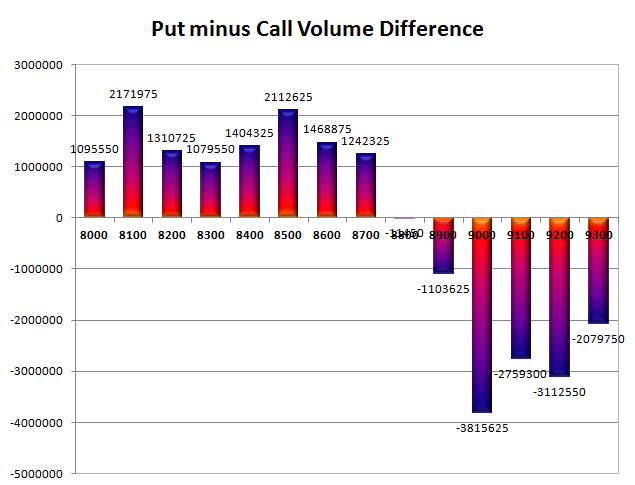 Day Range as per Option Table is 8687 - 8853 and as per VIX is 8666 - 8847 with 8774 as the Pivot.